Europe’s Copernicus Earth Observation Satellite Constellation is looking forward to its next addition on Tuesday when the program’s most comprehensive satellite to date rumbles into orbit atop a converted Soviet-era ballistic missile. 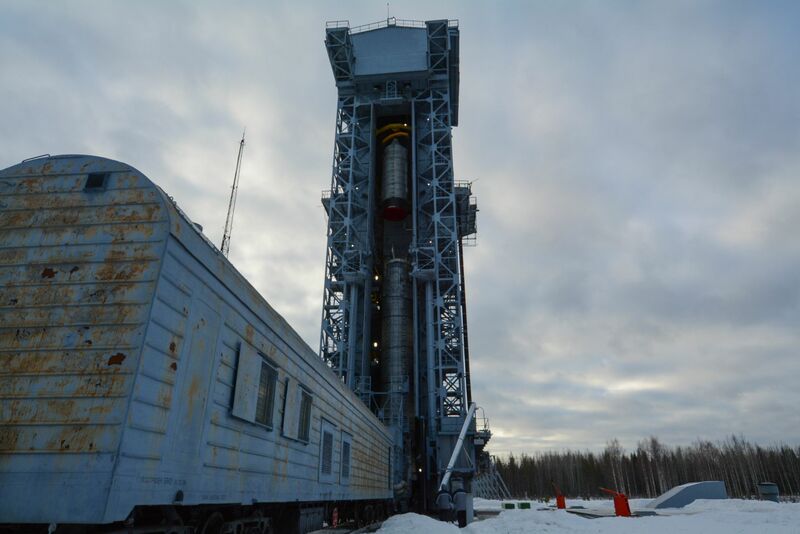 Sentinel-3A is set for liftoff atop a Rockot launch vehicle at 17:57 UTC from the Plesetsk Cosmodrome, Russia’s primary military launch site. The 1,200-Kilogram satellite was fitted atop the 29-meter tall Rockot booster last week to get ready for liftoff, marking the 25th Rockot launch, aptly named after Libra, a constellation that can be drawn with 25 bright stars. Sentinel-3A will enjoy a one-hour and 20-minute ride on the two-stage Rockot and the Briz-M upper stage that will be tasked with giving the satellite its final boost into an orbit over 800 Kilometers in altitude from where the third Sentinel satellite to be launched will monitor our changing planet. 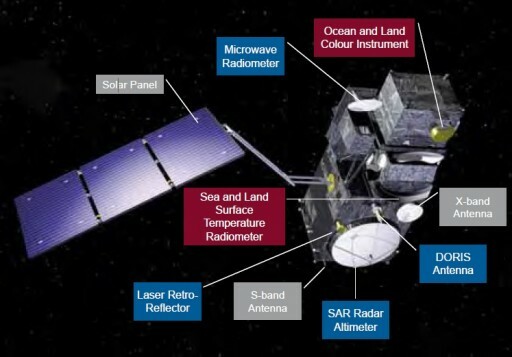 Operated by the European Commission, the European Space Agency and the European Weather Agency EUMETSAT, the Copernicus/GMES program aims to deliver relevant Earth observation data to users at a high-level of quality and timely availability shortly after data acquisition. 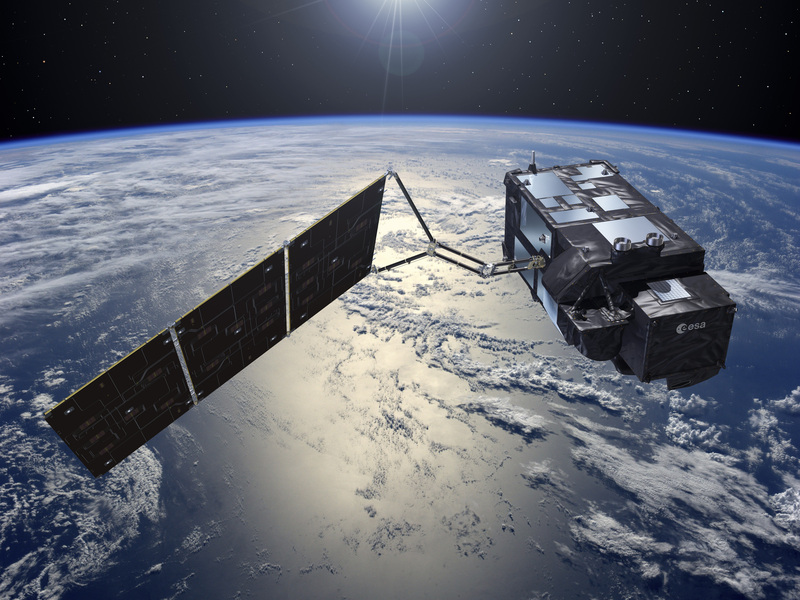 As mission with a more operational character, Sentinel-3 implements a high-degree of automation to deliver data products to users within three hours. Also, the two-satellite constellation support rapid global revisit times to permit tracking of ocean currents and support operational applications such as marine forecasting and tracking of ice movements. 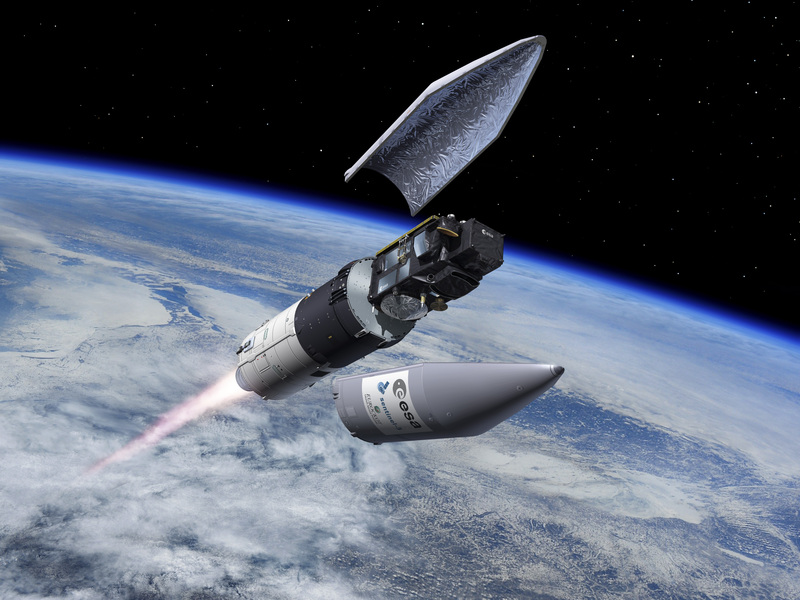 Thales Alenia was awarded the contract for the construction of the first Sentinel-3 satellite in 2008 for a total value of €305 million. 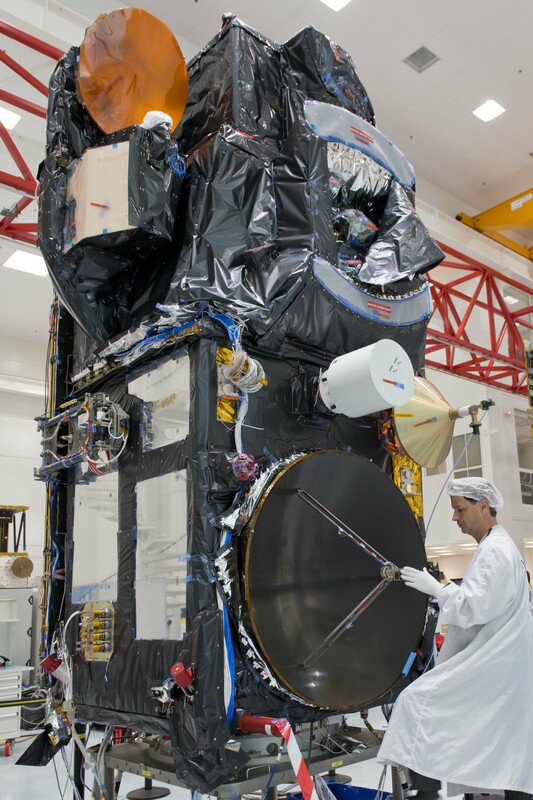 A second satellite, currently targeting launch in 2017, was ordered in 2009 and a third is planned for launch around the 2020 time frame to provide an in-orbit backup for the two-satellite constellation. Built and tested by Thales in France, Sentinel-3A began its journey to the Plesetsk Cosmodrome in mid-November when still hoping to get off the ground by the end of the year. However, weather delayed the spacecraft’s trip from just two days to a little under two weeks meaning that the original schedule of a late December liftoff would not hold up and a new launch slot needed to be found after Orthodox Christmas, also looking at other operations at the busy Cosmodrome. At Plesetsk, the satellite spent the first three weeks of December getting checked out as teams completed inspections and stand-alone electrical testing to verify it arrived without damage and was ready to begin its mission. Tightness checks were also completed on the propulsion system of the satellite, and separate engineering teams conducted testing on the Briz-KM upper stage and Rockot launch vehicle. The assembled Briz-KM and payload fairing were taken out to the launch pad at Site 133/3 for a fit check on the Rockot as well as a launch simulation. 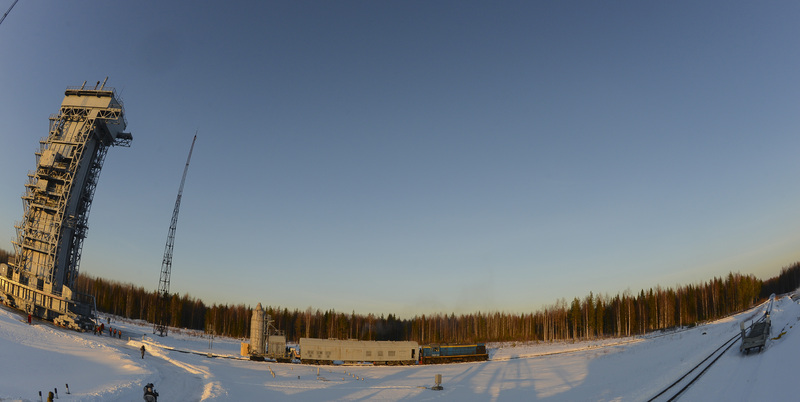 Packing up the launcher and satellite, teams headed into the Christmas and New Year’s holidays, coming back in mid-January to repeat a series of electrical checks on the satellite as well as the installation of protective thermal covers. 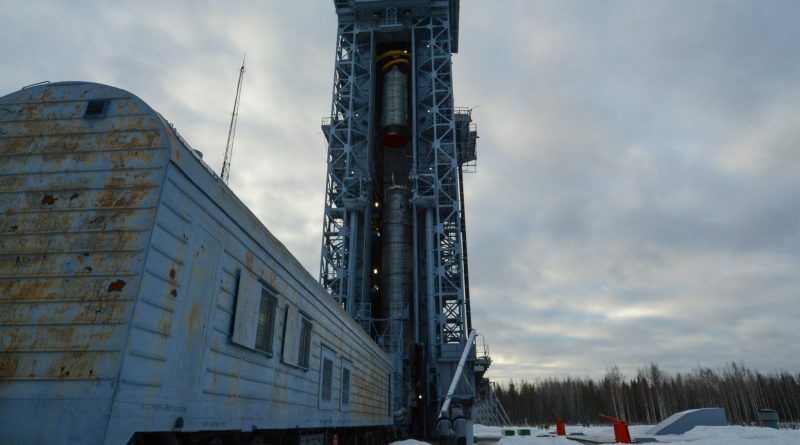 By January 21, satellite fueling was put on hold due to additional time needed by the launch vehicle team to complete another dress rehearsal with the Rockot vehicle after repairs on Ground Support Equipment at the pad were carried out. With launch reset for the 16th of February, the satellite headed into propellant loading on the second of the month, being loaded with about 120 Kilograms of Hydrazine. 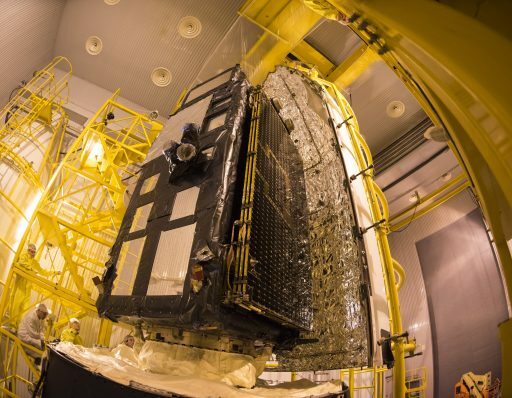 Once fueled, Sentinel-3A entered combined operations, taking its place atop the Payload Adapter before being transferred to the Briz-KM processing facility to be installed on the upper stage, completed on February 7th. 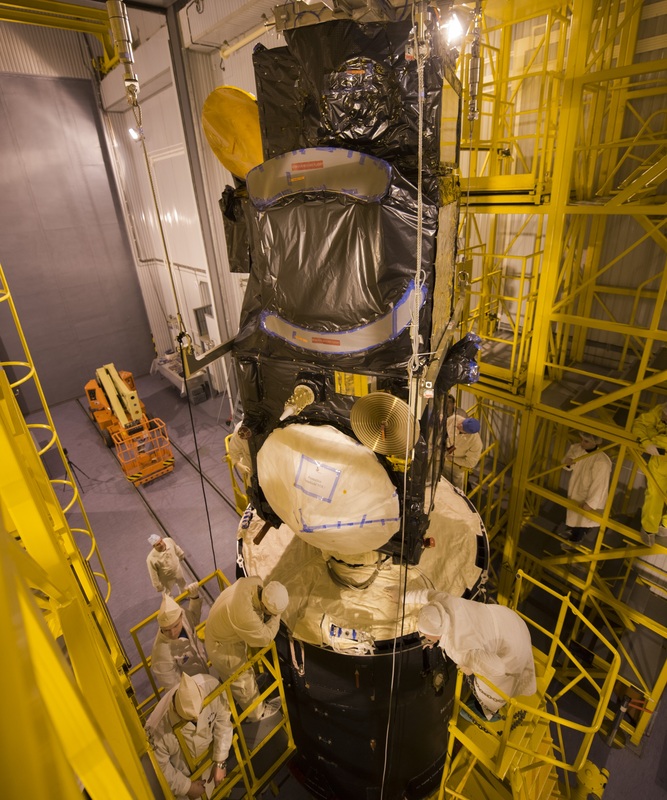 The Final step for Sentinel-3A was a last inspection and the removal of protective covers prior to the encapsulation in the payload fairing, marking the final time the satellite was seen on Earth. Team members signed the fairing assembly prior to rollout to the launch pad on Friday. Hoisted atop the Rockot, the Upper Composite was installed on the second stage and electrical connectors were mated to set the stage for launch dress rehearsals – the first pre-rehearsal was conducted on Saturday and was followed by a full countdown & launch simulation on Sunday involving the launcher and spacecraft teams. Upon completion of the launcher and satellite rehearsals, Launch Readiness Review presentations from all involved parties were reviewed and all sides verified readiness for the mission. A meeting of the State Commission on Monday morning provides the final approval for fueling of the Rockot Booster. First flown as a space launcher in 1990, Rockot has a launch mass of 107 metric tons and can deliver payloads up to 1,200 Kilograms to Sun Synchronous Orbit. Both Rockot stages and Briz-KM use hypergolic propellants, Unsymmetrical Dimethylhydrazine and Nitrogen Tetroxide. On Tuesday, the satellite team at the launch site and the European Space Operations Center in Germany will head into a seven-hour countdown operation to put the Sentinel-3A satellite through final checkouts, configure it for launch and complete data flow checks with the various ground stations involved in the mission. Tuesday’s launch will initially be supported by Russia’s Ground Station Network tracking the ascending Rockot vehicle followed by passes over ground stations in South Africa, Kenya, Belgium and Sweden – supporting launch vehicle telemetry relay as well as communications with Sentinel-3A after spacecraft separation. Final approval from the State Commission is expected six hours before launch and Rockot will head into a series of checkouts. The Mobile Service Tower will be retracted from the above-ground launch canister and, as the count heads into its tail end, the satellite team will provide a final readiness call when Sentinel-3A is on battery power. The final countdown sequence kicks off at T-3 minutes and includes steps to transfer Rockot & Briz-KM to onboard power and pass control over to the launcher. T-0 marks the start of final gyro settling and ignition comes at T+11 seconds as the RD-0233/0234 engines on the 1st stage soar up to a collective liftoff thrust of 191 metric-ton-force. Climbing out of its Launch Container, Rockot will ascend vertically for a moment before pitching over to begin heading to the north-west to aim for a polar orbit. Rockot passes Maximum Dynamic Pressure 50 seconds after liftoff when pushing through 11 Kilometers in altitude. The first stage will fire until T+2 minutes and 19 seconds when it shuts down its engines and separates from Stage 2 that will have already ignited its vernier engine to pull away from the first stage. Staging at 68 Kilometers will set the stage for a burn of just over three minutes as the second stage pushes the vehicle out of the atmosphere with a thrust of 25 metric-ton-force. Sentinel-3A is revealed three minutes into the flight when Rockot will pass 121 Kilometers in altitude, well outside the dense layers of the atmosphere where aerodynamic forces could harm the spacecraft. After second stage shutdown at T+5 minutes and 19 seconds, the Briz-KM upper stage will be in charge of powered flight. It will start with a burn of nine minutes and nine seconds, firing its S5.98 engine with a thrust of 2,000 Kilogram-force to boost the stack into an elliptical Parking Orbit of 153 by 785 Kilometers. Once arriving in orbit, the stack will enter an hour-long coast to climb to the apogee of its orbit so that the second burn can bring up the perigee and circularize the orbit. While coasting, the vehicle will pass over the Hartebeesthoek, and Malindi ground stations, covering the second burn and spacecraft separation. Briz-KM’s second burn is set to start one hour and 15 minutes into the flight and last just 32.4 seconds to put the vehicle into an orbit of 801 by 815 Kilometers, inclined 98.62°. Following separation 80 minutes after launch, Sentinel-3A will be tasked with establishing a stable orientation, deploy its single solar array and check in with ground stations to deliver health data to teams at ESOC, marking the start of a three-day initial commissioning phase. 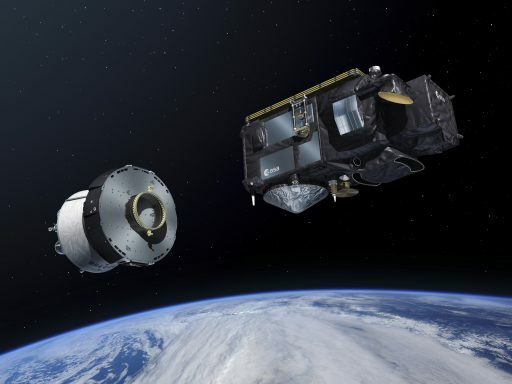 For Briz-KM, two disposal maneuvers are coming up after satellite deploy to lower its orbit.